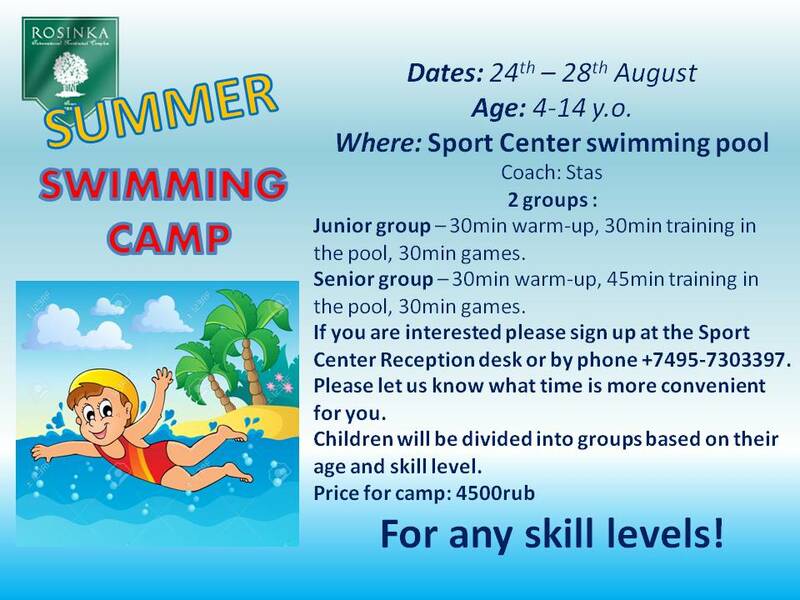 Rosinka kids participated in a fun-filled swimming camp. Through out the week the children were able to master their swimming techniques as well as enjoying water games with their friends. The camp ended with a swimming exhibition to give the kids the opportunity to show off their skills. All kids received a gift for successfully completing the camp.